Mental accounting is a theory that describes how people think about money. This theory suggests that people track and coordinate their financial activities by partitioning money into mental accounts, which are used to make spending decisions. Examples of mental accounts might include an “entertainment account” or an “education account,” each representing money specifically budgeted for that endeavor. Mental accounting represents a shift from traditional economic theory, which suggests that people think about their assets as a single account representing their total state of wealth. According to economic theory, spending decisions are based on a purchase’s utility relative to all other potential purchases. Mental accounting instead suggests that spending decisions are based on utility relative only to other purchases in the relevant account. 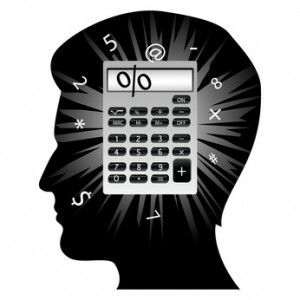 The concept of mental accounting first emerged with studies about spending behavior related to sunk costs (money spent on a future event that cannot be refunded). 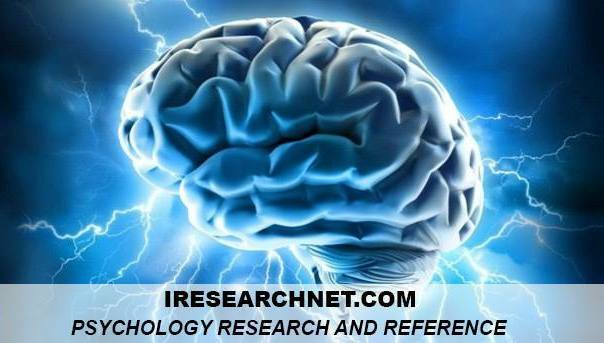 Mental accounting research has since expanded to include more in-depth analyses of spending behavior as well as how mental accounts are opened and closed and how income is apportioned to accounts. The following examples illustrate the findings of mental accounting research. One early mental accounting study examined whether people would attend a basketball game in the middle of a blizzard. Those who purchased a ticket in advance choose to go see the game, despite not wanting to drive in bad weather. In contrast, people planning to purchase a ticket at the game decide to stay home to avoid driving in poor conditions. This difference can be attributed to the observation that for advance ticket holders, the mental account for “basketball game viewing” remains open until the game is attended. If the game is not attended, the account may remain open indefinitely, which can be a source of mental discomfort. Scenario 1: Imagine that you spent $20 on a ticket to go see a concert. When you get to the concert, you pull out your wallet and realize that you have lost the ticket you’d bought. If you want to see the concert, you need to buy another $20 ticket. Would you buy the ticket? Scenario 2: Imagine you go to the concert without a ticket, planning to buy one there. When you pull out your wallet, you realize that you have lost a $20 bill. Tickets to the show cost $20. Would you buy the ticket? People are less likely to buy a ticket after losing a ticket (Scenario 1) than after losing $20 (Scenario 2). This is inconsistent with traditional economic theory because the scenarios are economically equivalent; in both versions, the choice to skip the concert means having $20 less and the choice to see the concert means having $40 less in overall wealth. Mental accounting better explains the results of this ticket-buying study. In the first scenario, both $20 expenditures are charged to the “entertainment” account, which makes it seem like $40 is being spent on the concert ticket. In the second scenario, the lost $20 is charged to the “general fund” account and only the $20 spent on the ticket is charged to the “entertainment” account, which makes it seem like the ticket cost only $20. Research on transaction utility (the perception and experience of outcomes) reveals that altering the purchase context causes people to be willing to pay different prices for the same product. In one study, participants were asked how much money they would spend on a bottle of beer. Half the participants were told they could buy the beer from a nearby resort, and half the participants were told they could buy the beer from a nearby grocery store. People report they are willing to pay $2.65 for a bottle of beer purchased from an expensive resort but only $1.50 for the same bottle of beer when purchased from a grocery store. Economic theory predicts that willingness to pay should not be influenced by factors like the product’s source. Mental accounting research reveals that this is not actually the case and that people perceive and experience outcomes differently depending on the context; the same beer is charged to different mental accounts based on the particular circumstances of the purchase. Mental accounting has been studied using hypothetical scenarios like those described earlier and in the field within diverse populations. One field study investigated mental accounting in taxi drivers, finding that drivers tend to work longer on days when they are making less money and quit earlier on days when they are making lots of money. This study revealed that taxi drivers have a mental account for income that fills each day. Once the account has been filled, the workday can be considered over. Economic theory predicts that drivers would work longer on high-earning days and quit earlier on slow days in the interest of making the most money possible per hour worked, but this is exactly the opposite of what most drivers do. Drivers seem unwilling to close the income account each day until they receive a fixed amount of money. Another study found that people treat windfalls (unexpected income) differently than earnings from a paycheck. These two sources of income correspond to different mental accounts, and as such, people tend to spend the money differently. Regular earnings are used for predictable expenses and bonuses are used for special luxury purchases. Economic theory, however, predicts that people would treat all income the same regardless of source. As this is not the case, mental accounting provides a better description of how people think about money. Mental accounting helps illustrate that economic theory cannot always account for people’s behavior. It demonstrates that money is not always treated as representing an overall state of wealth and that psychological factors are important to consider in predicting everyday behavior when it comes to earning or spending money.